Priority projects to be supported in Kazakhstan by the European Investment Bank in the future will be those which contribute to improving energy supplies and environmental protection, the EIB told Trend on October 8. The Bank noted that the projects will be supported within the EIB External Lending Mandate and the borrowing counterparts will include both public sector entities and private sector companies of Kazakhstan. "Eligible projects in the energy sector are expansion, modernization and upgrading of infrastructure and procurement of equipment for gas and oil networks leading to improved performance and increased safety and security of gas supplies to the EU; oil and gas extraction facilities, where EIB funding will focus on equipment and infrastructure for environmental protection purposes; and electricity generation plants and electricity transmission lines, providing substantial energy saving and environmental protection benefits," the EIB said. As for eligible projects in the environmental sector, the Bank mentioned the expansion, modernization and upgrading of infrastructure and procurement of equipment for energy saving as well as schemes leading to a significant improvement of the environment. 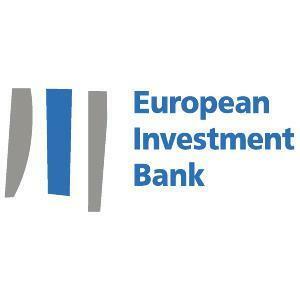 The European Investment Bank is the European Union's non-profit long-term lending institution established in 1958. The EIB uses its financing operations to bring about European integration and social cohesion. Although about 90 percent of projects financed by the EIB are based in EU member countries, the Bank also funds projects in about 150 other countries — non-EU Southeastern European countries, Mediterranean, ACP, Asian and Latin American countries, and members of the Eastern Partnership. The EIB works in these countries to implement the financial pillar of the union's external cooperation and development policies by encouraging private sector development, infrastructure development, security of energy supply and environmental sustainability.